These core values represent the focus of my surgical practice. 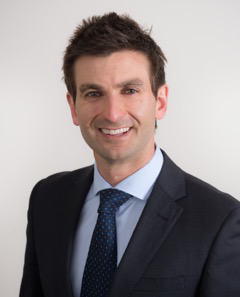 I am an Orthopaedic Surgeon from Perth and have operated extensively in the United Kingdom, Canada and Australia. My passion is to achieve excellent results for my patients. Having worked with athletes from some of the world’s greatest sporting teams, I understand the importance of meticulous diagnosis, advanced surgical techniques and comprehensive rehabilitation to facilitate a speedy and successful recovery. No matter your level of activity; whether you want to return to elite level sport or be free of pain to enjoy every day, I am dedicated to helping you achieve your goals and live life to the full. I hope to be of assistance to you.